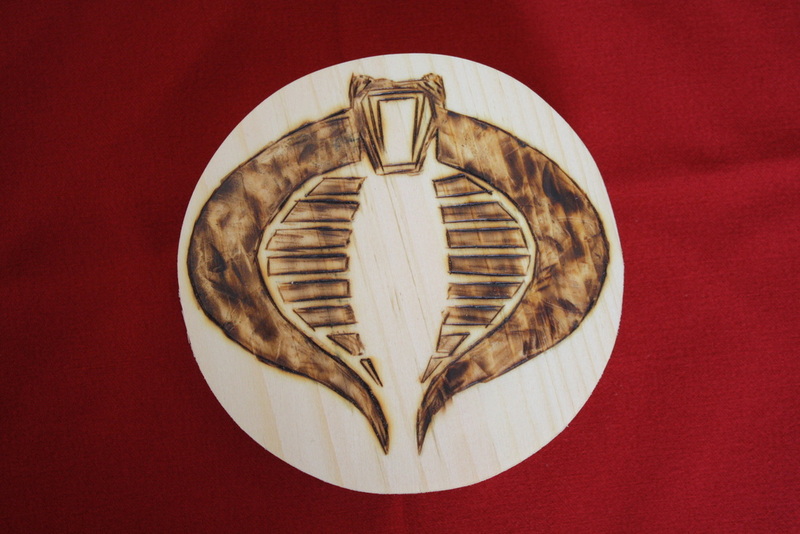 My wood burnings from classic cartoons, including GI Joe, Thundercats, and He-Man. Classic animes don't go here. If I make wood burnings for them, they will have their own section. Made using 1/2 inch pine cut into a circle that is slightly bigger than the palm of my hand. Using carbon paper and a printed off image of the insignia, I traced it onto the wood after cutting it out. It took me twenty minutes to burn the image into the wood. The mottled shading is intentional as the series is about war. These are being made to order. $12 +shipping. Extra $1 for your choice of stain.